How many times have we been faced with a situation where the battery of our laptop is not performing at its optimum capacity, and we have to continually plug it into a power outlet? When this happens, we immediately think of replacing the battery. Before making this decision, it is important to understand what an average battery life is and how to check laptop battery life before you spend money on batteries as they are not cheap. Any laptop is designed with a battery power that provides uninterrupted supply for 4-5 hours before the battery requires recharging. The life of the battery runs for about 2-3 years without any problem. The battery starts to reduce its hours when it is used for some time. It then provides power for only 2-3 hours before it asks for charging and then again dies down. This decreases further to a point when the laptop does not hold any charge by itself anymore. It is time to understand that the laptop requires a new battery at that point. But there are some ways in which the battery life can be checked from time to time so that the performance can be measured. 1. Click on start. And in the search box, type “CMD”. 2. A command box will pop up. Type “cd%userprofile%\desktop” and then press “enter”. 3. Here, type powercfg-energy command and then after that, press “enter”. A trace will occur for about 60 seconds. After that, an HTML will be given to you on the screen which will have the details about the system. Make sure that nothing is running on the system and the laptop is free to be used. The information on the designed capacity and also the last full charge values should show 6% range of new batteries. Some online tools are very helpful for us to make sure of the health of the battery we are using. BatteryMon – this one is a great tool that displays how a battery is doing through a graph. It is an easiest way to comprehend the health of a laptop battery. The capacity and the rate of discharge are shown by two clean lines. This can be used as a gadget on the screen and can opt for email notifications at certain points. Battery Care – Many simple habits can lead to damage to the battery. Experts suggest that you shouldn’t wait for the battery to be drained before you charge it. Fully drained batteries can cause long-term damages to its performance. Battery Care comes in the picture by providing information on the general health which lets you strike a balance on when the battery should be charged and what level of lowest charge is still safe for the device. 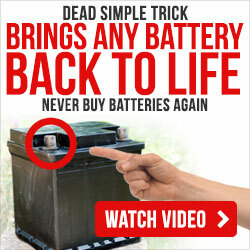 The only way a battery run longer is by taking care of it and not letting adverse habits affect its general health. Are you eager to know more about how to check laptop battery life? Submit your email, and we’ll send you free information about how you can take care of your laptop battery better. If you have any questions, we’ll be happy to answer them. You can send us an email, or you can leave them in the comments. We’ll be sure to provide you with valuable information that can help you use your laptop battery properly. We also provide the information on how to recondition a laptop battery so you don’t have to buy a new one for your laptop!